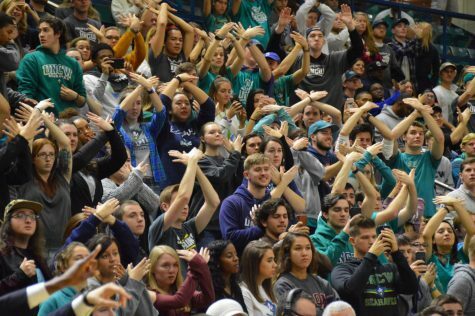 The Seahawk Student Section at the UNCW men’s basketball game against James Madison on January 25, 2018. Here at The Seahawk, we have continued our commitment to covering local and national news for UNCW’s campus, Seahawks, fans and the Wilmington community. As we grow and expand, we are introducing several different multimedia dimensions to our news coverage, including photo galleries and videos. For video updates from all sections at The Seahawk, be sure to subscribe to our YouTube page.